Nicht nur "Take My Hand", sondern gleich das ganze "True Romance"-Album war deutlich besser. Auf dem Weg zum Erfolg scheint Charli ihren einzigartigen Stil und ihre Aura zu verlieren und sich zu einem stinknormalen Poppüppchen (was für ein Wort!) zu entwickeln. Schade drum. Wäre sie lieber unbekannt geblieben und hätte unter Ausschluss der Öffentlichkeit einen würdigen Nachfolger für ihr Debüt produziert. Nun ja, die Hoffnung stirbt zuletzt, vielleicht gibt's die Perlen ja dann auf diesem Album? Vorerst aber bleibe ich enttäuscht zurück und höre lieber noch mal "Set Me Free " und "You're The One". Gefällt mir sehr gut, natürlich besser als Boom Clap, jedoch schwächer als SuperLove. Album kann kommen! Edit: Mittlerweile deutlich gestiegen, auch durch die Verwendung als Dschungelcamp Titelsong 2015. Macht grundsätzlich enorm Spass wenn mans nicht allzu oft hören muss. Darum auch abgerundete 5.5*, nerven kann er halt auch super.. In den Stropehn erinnert sie mich richtig stark an Marina&The Diamonds, was natürlich nur positiv sein kann! A bit messy and a real letdown after Boom Clap. It may grow on me though as BC did. It has a nice build-up but the end result is a tad too average. Too repetitive and lacks substance. Sie hätte wohl Potential aber das klingt einfach zu trashig. Efficace et décalé, je n'en peux plus d'écouter et réécouter. To be quite kind, it's average. Not too bad, better then Boom Clap. It's not as safe-sounding as 'Boom Clap' (I did not mean it that way!) but also not as effective for me. Decent effort. Not usually my type of song, but this works for me for reasons I can't quite explain. Zwak, augustus 2014.. . . .`=-,. . . . . . . . . .,%`>-- ☺!!! This song should say "I don't wanna break the rules, I just wanna go to school" I always get confused and I sing that line like that. This is just the perfect embodiment of music I dislike. The whole high school "bad person," "let's break rules," "yolo," "rebellion!!" attitude is repulsive to me and extremely immature. I despise how this attitude is glorified in the media even though this 'image' is always destined for failure. You wonder just how successful one gets with this sort of mindset to life. Actually, you don't need to wonder at all because the obvious reality is, these people don't get anywhere at all. Sure, it may work for a couple of hit songs, but say goodbye to a successful career if you decide to stick to it. Those hit songs will probably be forgotten in a few years too. You might say "but Linkin Park and Evanescence have had great careers and have produced brilliant songs in the process!" While I do concede that the angst that they embodied is not too dissimilar to this, their intentions and thoughts were on a much deeper level than shallow, immature lyrics such as "Getting high and getting wrecked, I don't wanna go to school, I just wanna break the rules." I mean, how about you just go do that and never come back. It is this vile attitude that has led me to despise this artists' music so much, as it was clearly evident in "I Love It" and "Fancy" too. It is not just her though. The long list continues with the latest Avril releases and most of Kesha's early releases, and this is the reason why I couldn't stand Rita Ora either. The list goes on and on for artists that go down this path really, and where are they now besides being washed up? * I don't care if I am taking this too far; this song personally offends me. It is simply not fair when someone tries to make something out of their lives and works very hard at it, and then here comes a most likely privileged, well-off 'star' who instantly becomes mildly successful by cashing in with a bitchy, rebellious, shallow and immature song. I guess I should be glad I haven't experienced this personally. If you want to rebel against the status quo, there are other ways to do it. This method has already been tried and flogged to death so much, that it is pretty much mainstream anyway. So maybe this is ironic instead? I doubt it. Especially with this song coming from probably the worst album name of the year: "Sucker." This absolutely reeks of immaturity and I find it vile and repulsive. *Yes, Kesha and Rita are still relevant. But that is clearly because they have moved away from this awful attitude and have gone to perform more interesting, or at least more innocuous material, or have at least continued this tirade ironically. This is just the tip of the iceberg with this song. Terrible production just makes this extremely uncomfortable and and difficult to sit through. There is absolutely nothing to salvage here. Please go away and come back with something new. I was very disappointed when I first heard this as I was expecting something more explosive and fun yet we get this. 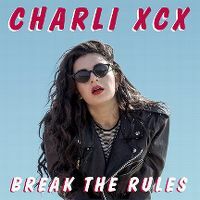 The "break the rules" type lyrics are rather lame and not very interesting. If it had something more fitting production wise added to it I could probably pass it since it would fit and I could at least ignore the lyrics. The production here is rather neat but doesn't really suit the song. It has grown on me though and there's actually only a few lyrics that are annoying, though sadly they're in the hook which makes them all the more noticeable. My opinion is probably closest to Chemmical's, though I still think "Boom Clap" is much better. I don't think it's good that it has been in the top 50 when it has (Schoolies was happening a month ago as well as holidays which make people, especially teenagers more susceptible to potentially bad behaviour) but I don't find it too offensive. At least it's catchy and not totally a disaster. Something better next time please, Charli. edit: Starke 5+* gibts nun, starker, rotziger Pop-Song, der wirklich sehr eingängig ist. Mittelmässig gut! Heute Abend ab 22 Uhr auf RTL wieder zu sehen bzw. zu hören. Das Lied vom letztjährigen Camp fand ich etwas besser. Hm - klingt für mich etwas nach verschenktem Talent. Ich mag ihre Stimme, aber dieser Titel ist irgendwie zu sehr 08/15 -für aufmüpfige Teenie-Kids zum mitgröhlen. Catchy Plastikpop, bei dem es nicht wirklich viel zu entdecken gibt - der aber dafür immerhin auf Anhieb gut unterhält. Hört sich recht aufgesetzt hat, dieses Aufmüpfige. Dennoch verfehlt es nicht die Wirkung, gute Stimmung zu verbreiten. Unfassbar schlechter und amoralischer Text, Lied ist auch zu vergessen. 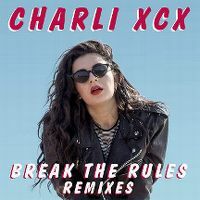 Schade eigentlich, dass die talentierte Charli hier scheinbar als Marionette für solchen aufmüpfigen Tennie-Sound fungiert und somit wie etwa Miley Cyrus oder Rihanna an Qualität verliert. Offensichtlich aber sehr kommerziell. Momentan im deutschsprachigen Raum vor allem durchs Dschungelcamp gehyped. Wie etwa im Vorjahr Lily Allen, die sich mit ihrem "Hard out here" über die Entwicklung von so manchem Popsternchen amüsierte. Song an sich hat zwischenzeitlich nen netten Sound, der erst gesteigert wird und mitreisst, leider aber mit dem Drop etwas abflacht und langweilt. Wie vor allem auch im Video ersichtlich, wirkt alles recht aufgesetzt und man merkt eigentlich, dass es für Charli dann wohl doch nicht ganz so das ist, was ihr steht. Vorallem vom mitreissenden Teil beeinflusst, gibt's von mir großzügige 3 Sterne. Wirklich nicht übel - aber doch etwas gar viel Lärm für die doch eher bescheidene Melodie - knappe 4 dafür. ich mag die. Die klingen bitchy. Knackiges Nümmerchen, von dem allerdings allzu wenig hängen bleibt. Coole Melodie, gute "schnoddrige" Attitüde. Kein Meilenstein der Musikgeschichte, aber ein gut gelungener, auch radiotauglicher Hit. Der Synthi-Teil wirkt zwar etwas billig, aber sonst o.k. Gute 4. Boah ey das nervt! Ist auch so ein tra-la-la Liedchen wie dieses "Boom Clap" - da platzen mir gleich die Ohren! Das Lied bringt irgedwie falsche Botschaften. Typisch bei Schulmädchen, die keinen Bock auf Schule haben. Und dann auch noch der nervige Sound und die nervige Stimme. Sorry mehr als ne 2 kann ich nicht geben. Irgendwie schon eine Hymne, gut gemacht. Cooler Song. Der "Drop" ist jetzt nicht soo nach meinem Geschmack, und obwohl ich eigentlich ja sowas nicht höre, muss ich sagen, macht der song ordentlich Stimmung und ist toll zum mitsingen. Ich finde die tiefe Durchschnittsnote ungerechtfertigt. Klingt wie eine Mischung aus "Marina And The Diamonds" und "Ke$ha". Mag ich nicht so und nervt nach einer Zeit sehr. Die (oha) "amoralische Botschaft" ist noch das Beste daran. Ansonsten wenig überzeugend. Vooral een tienerpopplaatje maar kan wellicht ook de iets oudere generatie bekoren. Jammer dat XCX zo mainstream wordt. Ze was in haar beginperiode toch een stuk interessanter. Für so Gören hatte ich immer schon ein Faible. Kam in meiner Wertung bis auf #3 und hielt sich 17 Wochen in den Top-10. Gehört zu ihren besseren Nummern. Der Refrain haut ganz gut rein. Shampoo trifft auf Marina & The Diamonds. 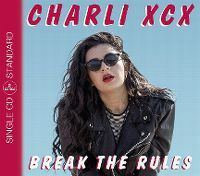 Sehr guter Track von Charli XCX. Haut gerade im Refrain richtig rein und macht gut Dampf. Klasse. In retrospect this is really lame but I got an immediate Prodigy feel from this instantly. Was more than likely the reason I was drawn to charting it. Peaked at #21 on my personal chart.